Axel Wieder. Photo: Josephine Van De Walle. 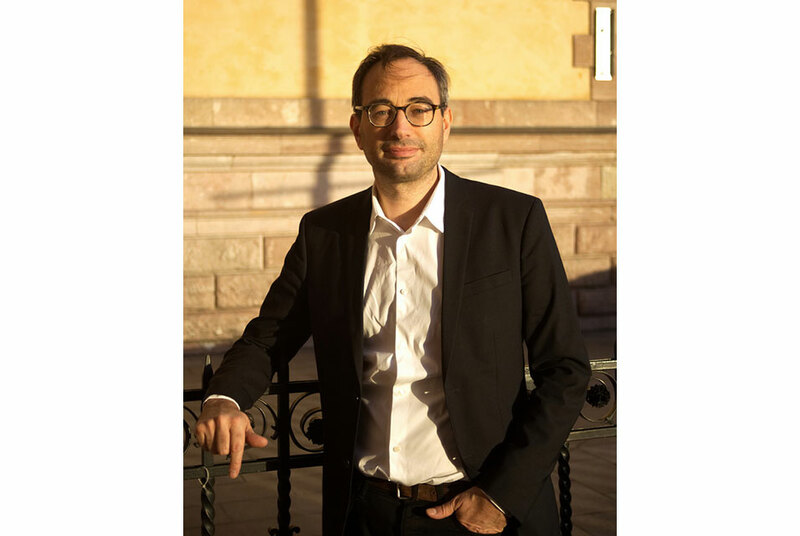 BERGEN.- The Board of Bergen Kunsthall has announced Axel Wieder as the new Director of Bergen Kunsthall. Wieder comes from a position as Director of Index  The Swedish Contemporary Art Foundation in Stockholm, an institution he has headed since 2014. Wieder takes the helm at Bergen Kunsthall in February 2018 after Martin Clark, who was appointed earlier this year to the post of Director at Camden Arts Centre in London. Clark suc­ceeded Solveig Øvstebø in 2013 when she left Bergen for the post as Executive Director of The Renaissance Society in Chicago, USA, having been director of Bergen Kunsthall since 2003. Axel Wieder graduated as an art historian from Humboldt University in Berlin. In 1999 he was one of the founders of the specialized bookshop and presentation platform Pro qm in Berlin. In 20072010 Wieder was Artistic Director at Künstlerhaus Stuttgart. In 2012 he became Curator of Exhibitions and Head of Programme at Arnolfini in Bristol, one of the UKs leading institutions for contemporary art. Since 2014 Wieder has headed Index in Stockholm, where he organized a highly regarded pro­gramme of exhibitions, publications and events including solo presentations by John Skoog and Emanuel Röhss, Simone Forti, Stephen Willats, Anna Boghiguian and Willem de Rooij, and the group exhibitions Autobiography and The Promise, an ongoing series of projects involving works of artists and architects, with contributions by Kate Newby, Fredrik Værslev, Peter Wächtler, Malin Pettersson-Öberg and others. Index is currently showing a solo exhibition of the Swedish artist Beth Laurin, which continues until December 3. His work has frequently focused on the history and theory of exhibitions, architecture and social space, and issues of political representation. Under his leadership Index has launched collaborations and pro­grammes to increase and expand the participation of the public in the activities of the institution, including a wide-ranging programme for schools, The Residents, and the Index Teen Advisory Board. Wieder has established collaborations with local and international universities and cultural organizations. Bergen Kunsthall (founded in 1838) is one of the most highly profiled institutions in the Nordic countries for contemporary art, and presents a number of parallel programmes in the departments Kunsthallen, NO.5, Landmark and Upstairs, along with the bookshop and online platforms.